David Boren at an OU press conference. 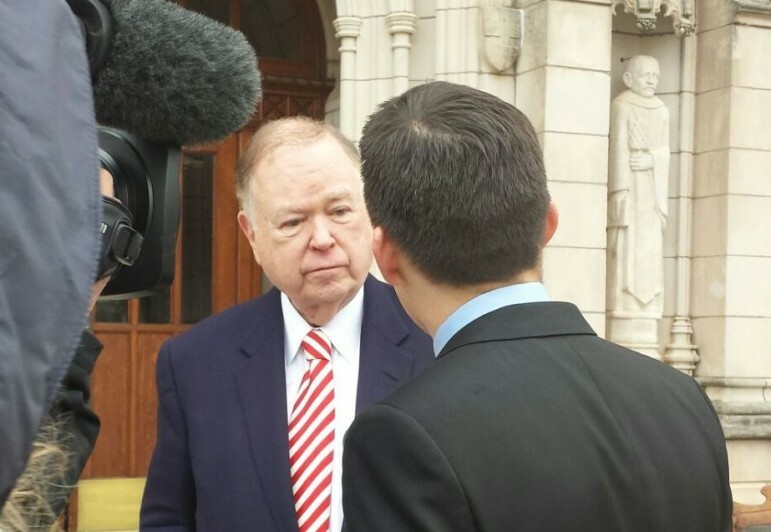 Boren seeks passage of a statewide penny sales tax to fund education. University of Oklahoma President David Boren, along with supporters, filed paperwork for a petition drive with the state of Oklahoma Wednesday, calling for a dedicated, one-cent statewide sales tax for education. Boren, former governor and U.S. senator for Oklahoma, called on voters statewide to support the measure, which he has said could raise $615 million a year. “The crisis is before us. We can no longer turn our eyes away from it. We can no longer turn our eyes away from children who need the best possible teachers to help them chart their future,” Boren said at a press conference at the State Capitol, videotaped by NewsOK. Backers have 90 days to collect more than 123,000 signatures for the proposed constitutional amendment, which, if successful, will put the measure for voters on the general election ballot in November 2016. The proposal would earmark 69.5 percent of the tax revenue for common education, with most of that money going toward giving teachers a $5,000 raise. The rest of the money could be used for third grade reading programs, to improve graduation rates or to address college and career readiness. The language says the money cannot be used to hire or pay for superintendents. Higher education would get nearly a quarter of the new tax revenue, and the rest would go to career and technology education. A provision in the proposal prohibits lawmakers from using the new tax as a reason to cut education funding. The Oklahoma Board of Equalization would examine the sales tax revenue and education funding each year to ensure lawmakers are not using the sales tax to supplant general education funds. If the board determines lawmakers used the sales tax revenue to cut education funding, the Legislature would be prohibited from making any appropriations in the following fiscal year until it paid back the money.